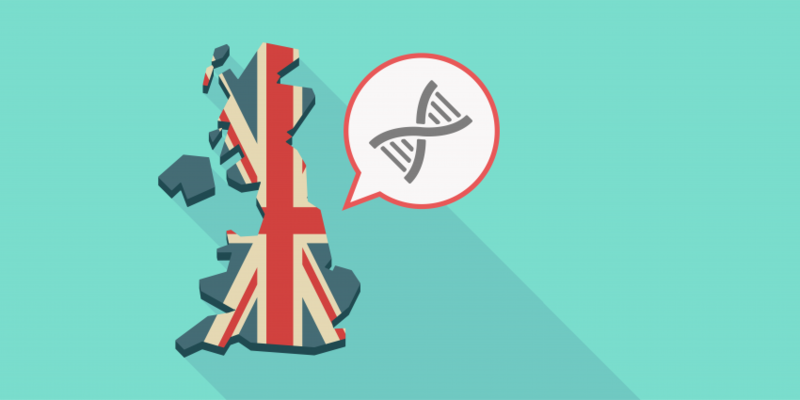 Earlier this week, Genomics England—a GA4GH Driver Project—reached an important milestone: the national initiative to sequence the genomes of 100,000 individuals through the UK National Health Service announced it is halfway to that goal. At the heart of the endeavor is the 100,000 Genomes Project Participant Panel, a group of cancer and rare disease patients, along with their parents and caregivers, who provide guidance to the initiative. The aim of the Participant Panel is to ensure that the public’s interests remain at the forefront of the organization’s activities. Below, Genomics England’s Head of Engagement, Vivienne Parry, discusses some of the benefits and challenges faced by the Panel. What is it? A bill? A speeding ticket? Well actually it’s just a newsletter sent to many of the participants in the 100,000 Genomes Project. But they think it’s a letter telling them their results from the project are in. Indeed, “some people don’t open it for two weeks because they can’t gather up the courage.” That’s according to members of the 100,000 Genomes Project Participant Panel and it was a key insight for us when we heard it. There we were thinking we were being helpful, keeping our participants up to date by producing a newsletter with lots of user generated content, only to discover that its arrival was more likely to cause alarm than enlightenment. All of the members of the Panel—around 30 outstanding and special people—have skin in the game. ‘If your genome is in it, you can be on it’— that is our mantra. Whilst this initially led to disappointment from some individuals and groups who felt they could ‘represent’ the participants, our policy was clear: you have to be in it and living it. One reason behind this approach is that members of the panel also sit on Genomic England’s Data Access Committee—the body that approves requests to access the 100,000 Genomes dataset. We believe it is critical that those who actually have data in the project have a say in who has access to it. The panel members are diverse in their age, gender, geography, conditions, and interests although we are not yet sufficiently diverse in terms of ethnicity. They are engaged, committed and determined to make a difference. Their brief is broad and we at Genomics England are entirely open to them. If there is anyone they want to call in—be it a researcher, a clinician, an ethicist, or anyone in between—we ensure that person appears before the Panel to answer their questions. Equally the panel has become the go-to body for many interested in how genomics should be rolled out more widely. The panel provides an authentic voice which is proving essential in determining how, where, and by whom results are made available. The members are shaping future genomics services in the NHS and the style and content of consent, communication, and wider participant involvement. At times their perspective is not what we expect—as with the newsletter example—but that only helps us get closer to where we need to be. Their impact on the way we operate is substantial and the Panel is now fundamental to the way we work. One unanticipated consequence has been the impact on our bioinformatics colleagues. Everything they do is dedicated to finding results for participants, yet they never meet them. Meeting real participants and seeing the impact their long hours of work can have is deeply meaningful for them. And our newsletter? We now send it out in an envelope clearly marked ‘This is the latest 100,000 Genomes Project newsletter.’ Participants read it and we don’t accidentally terrify the very people we care about most.